Women who give birth to infants with congenital heart defects may be at increased risk of heart problems including heart attack and heart failure later in life. 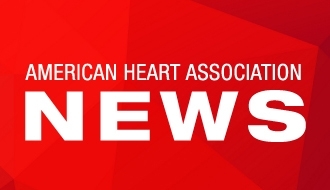 DALLAS, April 2, 2018 — Women who give birth to infants with congenital heart defects may have an increased risk of cardiovascular hospitalizations later in life, according to new research in the American Heart Association’s journal Circulation. The study of more than one million women is the first to show congenital heart defects in newborns may be a marker for an increased risk of their mothers developing heart problems, including heart attack and heart failure, years after pregnancy. Researchers analyzed data on women who delivered infants between 1989 and 2013 in Quebec, Canada, who had critical, noncritical or no heart defects. They tracked the women up to 25 years after pregnancy for hospitalizations related to cardiovascular disease including heart attack, heart failure, atherosclerotic disorders and heart transplants. 24 percent higher risk of any cardiovascular hospitalization in women whose infants had noncritical defects. How heart defects in infants relate to post-pregnancy cardiovascular disease in their mothers is unclear, the study notes, and a genetic component cannot be excluded. 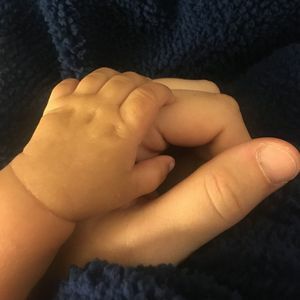 In addition, because 85 percent of infants with heart defects now survive past adolescence, the psychosocial impact of congenital heart disease on caregivers may have a cumulative effect over the long term. “Caring for infants with critical heart defects is associated with psychosocial and financial stress, which may increase the mothers’ long-term risk for cardiovascular disease,” said Nathalie Auger, M.D., the study’s lead author and an epidemiologist at the University of Montreal Hospital Research Centre in Montreal, Quebec, Canada. Researchers believe the study provides an opportunity for these mothers to benefit from early prevention strategies and counseling to reduce their risk of cardiovascular disease – the leading cause of death in women. 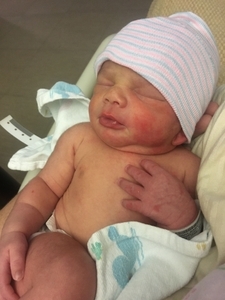 Healthcare providers, like obstetricians, who treat and follow mothers in the early stages of dealing with children who have heart defects can help women understand and minimize their risk, Auger said. “Those physicians are very well-positioned to inform women about this possibility, the greater risk of heart disease, and to provide recommendations for targeting other risk factors like smoking, obesity and physical activity,” she said. Some limitations of the research include the fact that women were young at the start of study, so for many, the 25-year follow-up did not extend past menopause, which excluded the highest risk period for cardiovascular disease. And, because researchers used existing medical data, they didn’t have detailed risk factor information on the women, such as body weight and smoking status. These are important points that should be considered in future studies, researchers noted. Co-authors are Brian Potter, M.D., C.M., S.M. ; Marianne Bilodeau-Bertrand, M.Sc. ; and Gilles Paradis, M.D., M.Sc. The authors reported no conflicts of interest. The Heart and Stroke Foundation of Canada and the Fonds de recherche du Québec-Santé funded the study. After April 2, 2018 view the manuscript online. Learn more about Congenital Heart Defects.